Alpha Test by Muscletech is a dietary supplement that combines different plant extracts (Fenugreek, Tribulus Terrestris, Shilajit and Brico) and minerals (zinc and boron). What are the properties of Alpha Test? Alpha Tests includes 250mg of Tribulus terrestres per service (2 capsules) standardized for 45% saponins. Shilajit, is a typical plant of Ayurvedic medicine. What to combine with Alpha Test? Alpha Test may be combined with multiple supplements according to our personal needs. Ideal to be combined with D-Aspartic acid, Multivitamins, Ginger extract or Ashwagandha extract. 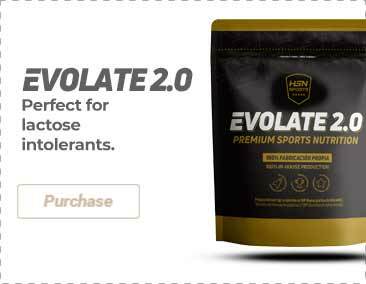 Product designed for athletes seeking to naturally maintain/increase their testosterone levels. 1. Kothari RP, Chaudhari AR. 'Zinc Levels in Seminal Fluid in Infertile Males and its Relation with Serum Free Testosterone.' J Clin Diagn Res. 2016 May;10(5):CC05-8. doi: 10.7860/JCDR/2016/14393.7723. Epub 2016 May 1. 2. Tahvilzadeh M, Hajimahmoodi M, Toliyat T, Karimi M, Rahimi R.An evidence-based approach to medicinal plants for the treatment of sperm abnormalities in traditional Persian medicine.Andrologia. 2016 Oct;48(8):860-79. doi: 10.1111/and.12676. 3. Pandit S, Biswas S, Jana U, De RK, Mukhopadhyay SC, Biswas TK1. Clinical evaluation of purified Shilajit on testosterone levels in healthy volunteers. Andrologia. 2016 Jun;48(5):570-5. doi: 10.1111/and.12482. Epub 2015 Sep 22. 4. Stohs SJ. Safety and efficacy of shilajit (mumie, moomiyo).Phytother Res. 2014 Apr;28(4):475-9. doi: 10.1002/ptr.5018. Epub 2013 Jun 3. Zinc (as zinc gluconate), Fenugreek seed extract (as Trigonella foenum-graecum) (50% saponins), Tribulus extract (as Tribulus Terrestris) (fruit and whole herb) (45% saponins), Shilajit extract (PrimaVie®) (50% fulvic acid), Boron citrate (5% Boron supply), broccoli plant powder (as Brassica oleracea), gelatin capsule (gelatin, titanium dioxide), rice flour, anti-caking agent (E470b magnesium stearate, E551 silicon dioxide). Take 2 capsules with a glass of water twice a day. Do not exceed 4 capsules in a 24-hour period.